Reveals new video for ‘Xen’ – created by Jesse Kanda. 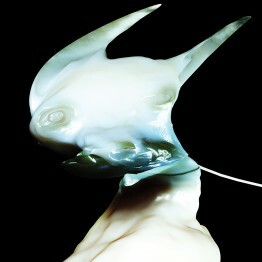 The Xen video is the latest in a long line of collaborations between Arca and Kanda, who’ve had a unique creative relationship spanning ten years since they first met on online artists community deviantART. Recently, this relationship has produced works such as the pair’s TRAUMA series, Arca’s &&&&& mixtape and, most recently, Kanda’s acclaimed video for Arca’s ‘Thievery’ single. Kanda also designed all the artwork and accompanying imagery for the Xen album. Xen was released on 3 November on Mute to widespread acclaim. Described by The Observer as “one of those albums that elegantly restates the appeal of digital music, expressing hues and states of being that fall outside the analogue spectrum” and Uncut as “a stunning showcase of his emotional, slippery, psychologically fraught production style”, Xen is set to be one of 2014’s defining debut records. Meanwhile. 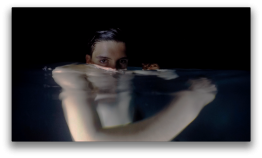 Arca is set to play a series of European live shows this year. He will be joined by Kanda for all the dates, including a UK show at London’s ICA on 27 November. The pair first performed live together in 2013 for a visual interpretation of &&&&& at New York’s MoMA PS1.